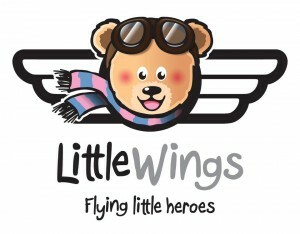 The Little-Wings brand is built around “Bertie the Bear” a qualified pilot of Teddy Airlines. “Bertie” is our mascot and flying icon of hope for all our followers and supporters. The Little-Wings brand had to be fun, creative and most importantly – Memorable for everyone of all ages and backgrounds. “Bertie” has overcome challenges and adversity, he is a comfort and someone that people can turn to at any time.